Bay Tree Lodge in Hoveton, near Wroxham sleeps 10 people. Bay Tree Lodge in Hoveton enjoys a delightful waterside position and been extensively renovated. Bay Tree Lodge is a detached property which provides excellent holiday accommodation for any time of year and which has a lawned garden leading to its own private mooring. There is a 10-seater electric day boat and selection of kayak canoes which can be directly hired from the owner, all subject to availability. The water frontage garden provides the perfect location for relaxing and watching the boating activity, and fishing is literally on the doorstep (seasonal and licensed). Explore the Norfolk Broads from the water, visiting the pretty Broads villages and seeing the wildlife. 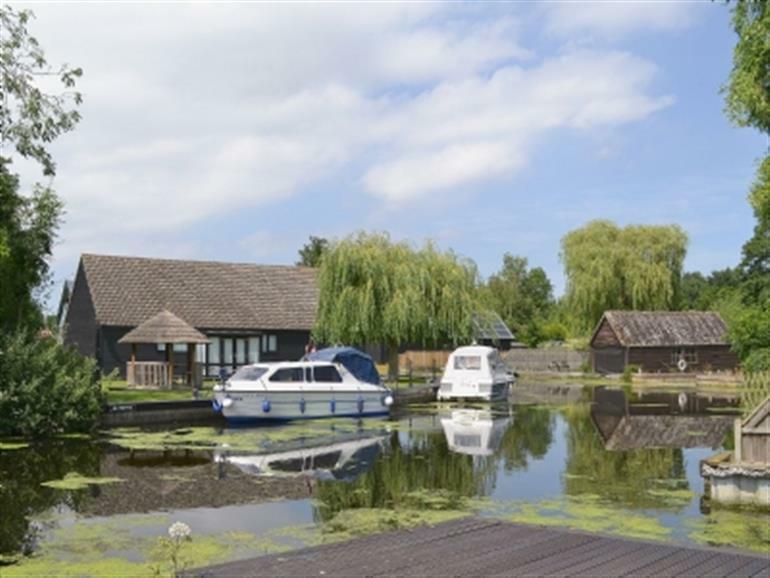 The property is situated just minutes from the heart of Wroxham, known as the ’Capital of the Broads’, with its waterside restaurants, pubs, cafés and shops. Sailing, walking, nature trails, bicycle hire and golf are all available locally. The coast is just 12 miles away, and visitors can enjoy the delights of the sandy beaches and the coastal villages. A must is to visit the grey seal colony at Horsey Gap Beach. For the children, there is BeWILDerwood, an outdoor adventure park at Horning, Wroxham Barns or Wroxham Miniature World, the largest indoor modelling attraction in the UK. Nearby National Trust properties include Blickling Hall, Felbrigg Hall and Horsey Wind Pump. Alternatively, spend the day in the fine city of Norwich, with its cathedral, museums and array of shops and cafés, just 8 miles away. The beach is 12 miles away, with the shop being 750 yards. The pub is 1 mile from Bay Tree Lodge. 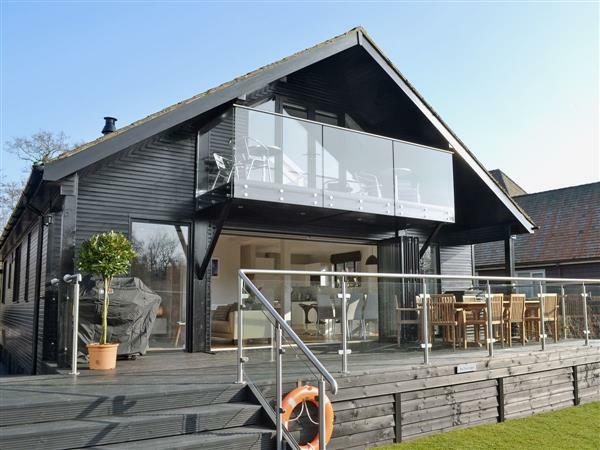 Spacious living/dining room with gas ‘wood burner’, waterside views, bi-folding doors to balcony and wooden floors. Spacious, well-equipped kitchen with range (for cooking) and tiled floor. Utility. Games room. Double bedroom with en suite wet room and toilet. Two twin bedrooms; one with en suite bathroom with over-bath shower and toilet, one with en suite shower room and toilet. Separate toilet. First floor: Two double bedrooms, each with en suite shower room and toilet; one with balcony. For a better idea of where Bay Tree Lodge is, you can see Bay Tree Lodge on the map below. Bay Tree Lodge is in Norfolk; should you be on the lookout for a special offer, you can find all the special offers in Norfolk. It's always worth checking to see what is on offer at the moment. Do you want to holiday near Bay Tree Lodge (CCCU), you can see other cottages within 25 miles of Bay Tree Lodge; have a look to find your perfect holiday location.